Kevin Eyster of United States has won the WPT five diamond world poker classic titles played at Bellagio, Las Vegas. Eyster topped the field where players like Eddie Ochana,Cate Hall,Jake Schwartz and Bill Jennings were playing. He wins the first prize and took home a cash of $1,587,382 at Bellagio, in Vegas. He also won a superb Hublot Oceanographic 4000 watch and an Aurae Solid Gold MasterCard with $10,000 of funds in there. 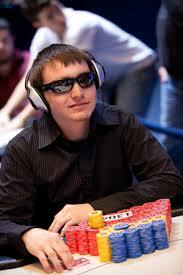 This is the second title win by Eyster playing at world poker tour. The first title win for Kevin was back in season eleven at Seminole Hard Rock Casino & Resort. The total career earning for Eyster playing at different world poker tour championships is now gone passed to $2,325,142, which seems to be very nice. Bill Jennings and Ben Yu were the second and third position holders and they earned $929,745 and $607,433 respectively. After winning the poker title Kevin Eyster, has got a chance to play for WPT tournament of champions where the buy in is $15,400. Eyster played very well till last moment of the game and never loses his cool. He was very happy after becoming the champion and this prestigious title win. Eyster has now joined the team of players who have won two WPT championship titles in their career. This was an update about WPT Five Diamond World Poker Classic, played at Bellagio, Las Vegas.